For some men, the idea of couples or marriage counselling is a daunting concept. Your partner may have a suggested it, but you’re just not sure you want to do it. You know that you have been arguing a lot more recently and neither of you is happy, but is couples counselling the answer? 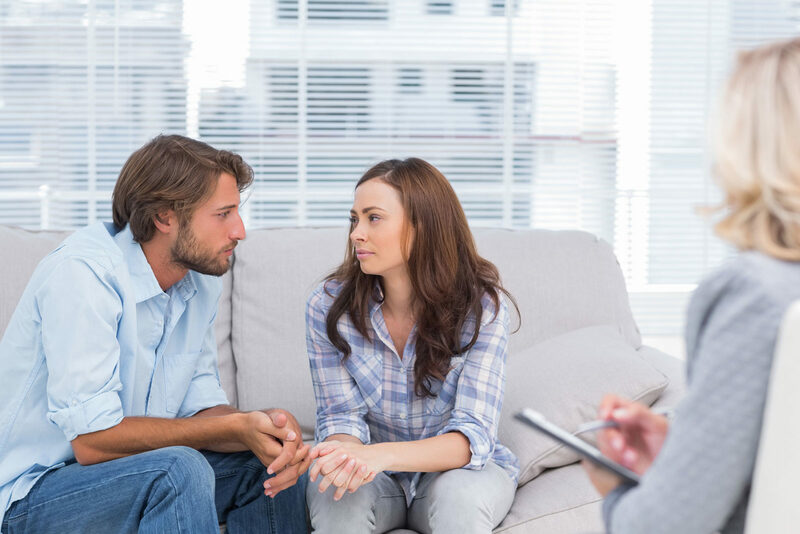 In this article, we address some of the common misconceptions people have about seeking counselling for relationship problems. We may fear that the counsellor will take a side. You may feel particularly vulnerable if your partner is more expressive and has no trouble opening up to the counsellor about how they feel. Counsellors are trained to remain neutral. If one partner is finding it harder to talk than the other, the counsellor will find ways to help both people communicate better. The counsellor will not assume that the quieter person’s point of view is less important or that they don’t have one. You may have heard a bad story about a counsellor from a friend and that may put you off going to couples counselling. Although professional counsellors are highly skilled and well-trained, you may come across a counsellor that is not suiting you. For the counselling to be effective, it is important that you ‘click’ with your counsellor. If for whatever reason you feel that the counselling process is not working for you, and you have fed that back to the counsellor and nothing has changed, then you are entitled to look for another counsellor. By comparison, if a repairman did a bad job on your house, you would seek another tradesman. You wouldn’t assume that the house can’t be fixed. If you are concerned about couples counselling, individual counselling may be an option. Although this is focusing on one person, it can still help to improve your relationship if it assists you to communicate better. This can be a first step or as an alternative. Couples counselling is very unlikely to cause any harm in your relationship and is far more likely to improve it. If you’re anxious about it, give one our MensLine Australia counsellors a call on 1300 78 99 78.